Watch out girls – here comes the sweetest bracelet you ever saw! 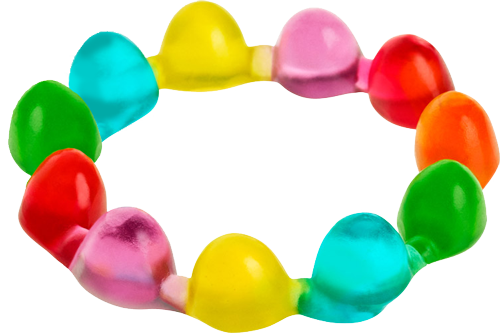 The “beads” on our efrutti piece of jewellery are made from carefully-moulded, transparent fruit gummy in bright colours. 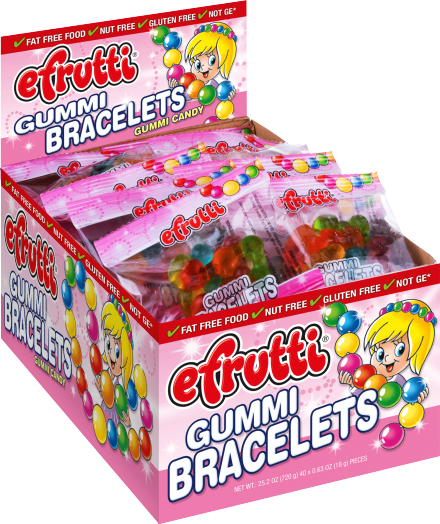 The gummy bracelet livens up any dress code and turns you into an IT-girl. And when you have looked at it long enough, just eat it bead by bead and enjoy the fruity taste of strawberry, mango, apple, blueberry, raspberry and orange.